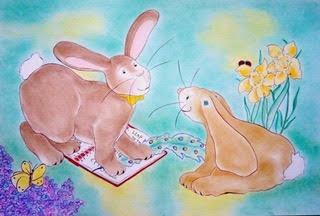 FOR EASTER and APRIL NATIONAL POETRY MONTH! FOR BEST DISCOUNT (40% and returnable), ORDER DIRECT from MacLaren-Cochrane Publishing at https://mcp-store.com/order-books-direct. Free Domestic Shipping available for individual customers and school events. Also available through Amazon, Ingram and Barnes and Noble at lesser discounts. AVAILABLE IN HARDCOVER ($17.99) AND PAPERBACK ($13.99). ALSO AVAILABLE IN DYSLEXIC FONT EDITION. Percy and Bonny pack their lunch for a trip to the meadow. Percy brings his journal so he can write a poem along the way. Bonny wants to write one too, but she’s not sure how. Can Percy help? Together they explore the sights, sounds, scents, and scenery that inspire their words. Share Bonny’s joy as she discovers how fun it is to write a poem. 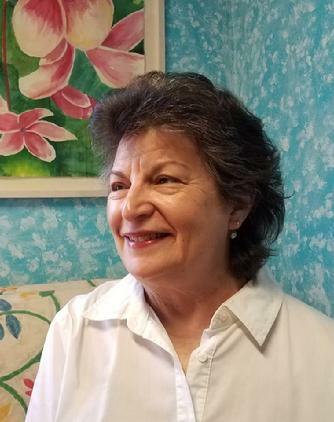 Barbara Toboni is the author of three poetry collections. 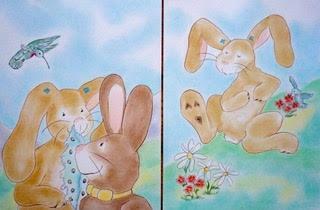 THE BUNNY POETS is her first children's picture book. 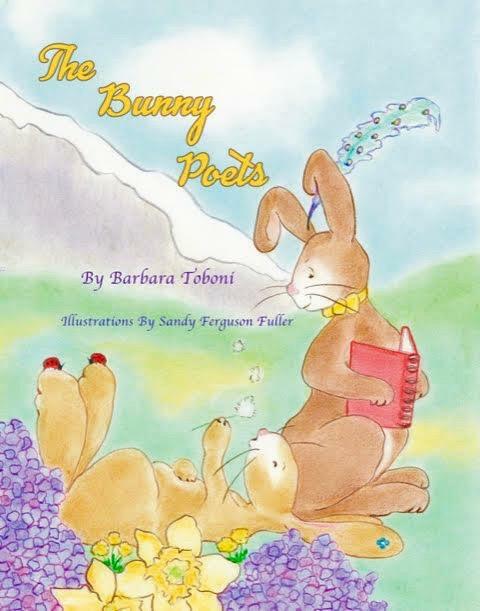 While attending a poetry writing class one day at her local library, Barbara noticed two bunnies lingering outside in the gardens. They must be composing a poem, she thought to herself! Thus her inspiration for this wonderful book. Barbara worked as a teacher's aide in a kindergarten while raising her two sons, so she has shared hundreds of picture books with youngsters. Now one of her own! She lives in the Napa Valley with her husband.